Tesla, the electric car maker, serves as one of the more extreme examples . Buyers can customize their entire car online, on their own. They can choose the number of batteries and seats, add air filtration, smart air suspension, sound systems, towing gear - all in the space of five minutes. Then, a couple of weeks later, the bespoke car is delivered. It’s not just the age-old assembly lines that are being brought into question, or the traditional dealerships that are being challenged. Decades of supply-chain and production-line paradigms are being altered. If it wasn’t for what we call "smart manufacturing" systems, with their collaborative hardware and software bots and cyber-physics, this level of customization would still be in the realm of science fiction. 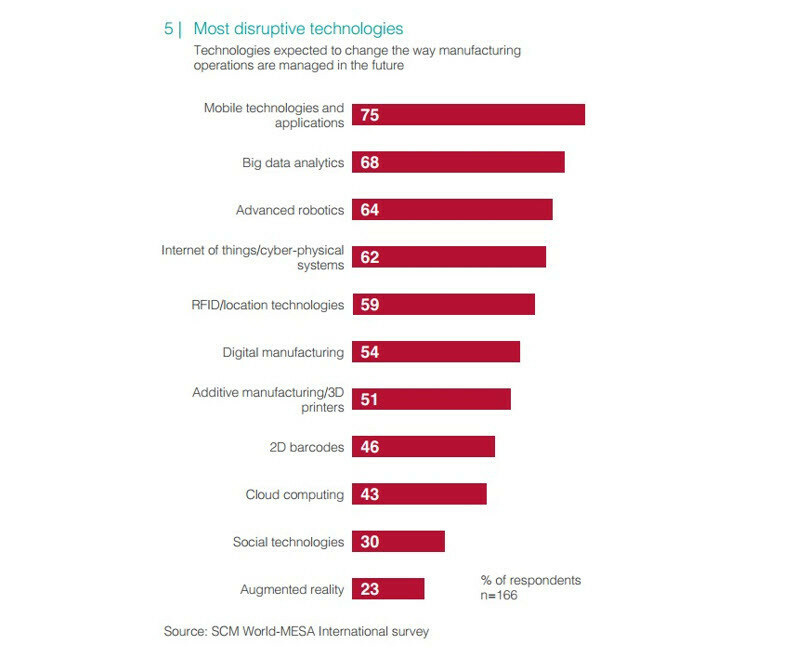 The development of smart and flexible manufacturing is an essential part of the fourth industrial revolution . When an era is marked by a version number all of its own, you know something major is afoot. You know that it will change the world in the same way that steam, electricity and information technology have done. For the past decade, the manufacturing industry has brought down its costs by working with partners in low-cost regions. Electronics industries look to China, textiles and clothing businesses to Mexico or Honduras, shoes to Vietnam, and so on. But smart manufacturing is about to reverse that. With digital systems and data science, automation and adaptive processes, smart manufacturing is being used to move production closer to the markets that originate the demand. This is in addition to accurately identifying what those customers want, and tailoring products meant just for them. One of the key technologies driving this is the internet of things. This network of connected devices offers dynamic new ways to sense demand, reconfigure supply chains and re-engineer manufacturing processes. And it can do this with information flow in real time, and across the value chain, blurring the boundaries between demand, design, manufacturing and supply. Admittedly, the concepts behind the internet of things are still relatively new. But the starting point for smart manufacturing is easy to identify: it begins when production and manufacturing plants are brought online. But how do we do this? 1. Intelligent sensors: Until now, manufacturing equipment has had sensors that are rudimentary by comparison to today's standards. Much of the existing manufacturing assets need to be retrofitted with intelligent sensors that record data and also transmit it in real time to central systems for alerts, analytics and decision-making. Many of these sensors will also be required to carry out the first level of analytics – for example, deciding what data to send in real time and what to hold off on. Advanced sensors will also have the ability to inspect equipment automatically and troubleshoot without forcing production lines to a grinding halt. 2. Standards and protocols: A number of disparate networks will come into play to enable the internet of things, which forms the bedrock of smart manufacturing. Current network standards and protocols will have to be understood, and sensors made compatible and flexible, to enable seamless machine-to-machine communication. Standardizing modes of communication between equipment, their operators and cloud-based applications will become a major area of focus for manufacturing. How these issues are handled will determine the speed and efficiency of the new manufacturing processes. 3. Network, application and data security: This is an area of concern that goes beyond smart manufacturing to everything and everybody that is part of the internet of things. But network, application and data security is a relatively new and unique concern for manufacturing that has, so far, had to contend more with security and surveillance of a physical nature (theft, sabotage, leaks). No connected system is safe from cyberattack, and production plants with robots and other connected equipment can become targets for hackers, and pose a risk for production, business reputations and bottom lines. 4. Plant design: No real change can occur without examining plant design and optimizing it for cyber-physical processes. The good news is that current technologies make it easy to create virtual plant designs, validate them through simulations and then commission them. This could, in the long run, create more flexible plants, by reducing building and maintenance costs, improving safety, lowering emission standards and reducing real-estate requirements. The question is: what is it going to cost to do all of this? In theory it looks effective and smart. But in practice the investments required may be beyond most budgets. Think about it this way: if smart manufacturing can show a 5-10% improvement (translating to US$2.5 million savings) a year, and contribute to business growth by appealing to more customers, surely it is worth investigating.